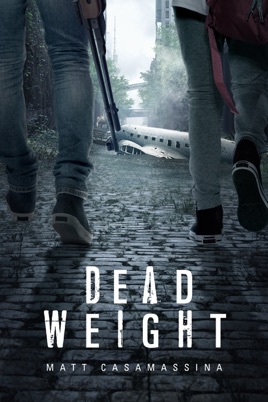 When 17-year-old Zephyr Rockwell wakes from a camping trip in the woods, he discovers that nearly everyone in the world has disappeared and most of the luxuries mankind maintained are already breaking down. What happened? Where did everybody go? Why is he still here? The boy soon embarks on a journey for answers and companionship in a new reality where great cities lay in ruins, food and water grow scarcer by the day, and every other survivor is a potential threat. There are secrets waiting in California. Still, is the trek halfway across the country worth the risk? Zephyr and his new friends decide to find out. Some of them, however, may not return. This book was excellent. The big draw for me was that you really did feel the tense scenes, you cry at loss, and yet the victories still felt hollow; this is fitting given that a victory when the world is over is rather hollow itself. This story leaves quite a few questions unanswered and deals in speculation for its own story. That is rather aggravating but the characters grow on you and you feel the loss the main character feels, it does not feel forced. From a great journalist turned great writer. This book is the perfect gift for anyone who loves the sci fi genre. From the compelling story to the outstanding character development, this book is a MUST READ!!! The only question left to ask is if there is a sequel coming. Light up your cigars, pour yourself some scotch, and enjoy the read ladies and gents because it's worth it.